Those of you excited about Microsoft’s take on tablet computing (whether software or hardware) now have a specific date to pine away for: October 26th. Earlier today Steven Sinofsky, Microsoft’s head of Windows development, made the date official at their annual sales meeting, and word was posted to the official Windows blog. 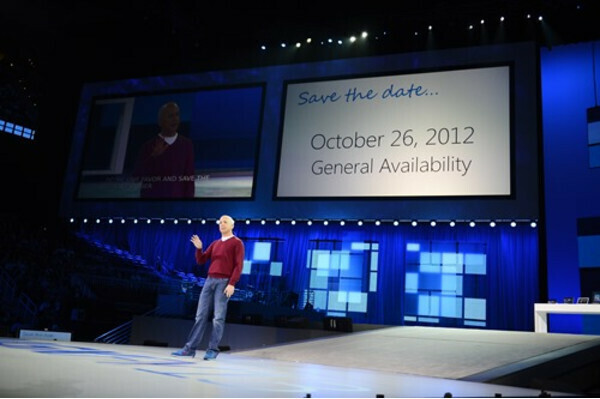 No word on whether Windows Phone 8 will also ship on that date, but if not we’re sure it won’t be too far behind. Windows 8/RT promises to be the largest overhaul of the Windows UI since at least Windows 95, with a shift to a far more mobile-centric workflow featuring Window Phone 7’s Metro UI. In fact many industry observers have questioned whether desktop and laptop users will be much interested in the new version, although a slew of tablet converters and touch laptop hybrids promises to offer several different use models, alongside tablets based on both x86 and ARM chips. Who is getting excited for this release out there? And do you plan to go with Microsoft’s own hardware, or see what other Windows OEMs cook up? its coming a bit late..
Yeah Microsoft should have released its tablets about 2 years ago. 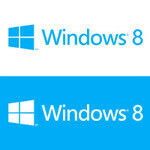 Windows 8 pc + Surface + Windows phone 8 Mac + ipad + iphone ???? + a lot of android tablet + a lot of android phone So Google doesn't want to come out with good computer OS? Not just computer with browser cough*chromebook*cough*chromium but an OS that can integrate really well with android. "... but an OS that can integrate really well with android" but I thought android was already an OS..
Umm... Linux anyone??! Android IS Linux, and the two already can integrate very very well. You have no idea about Linux now, do you? well i tried it for 4 weeks and it was clear to me it is the most rubbish OS. even though i was using it on Advance usage like Amr9 code porting and C coding ubunto and also tryied in embeded linux well it was way to difficult and nonproductive that i almost left the compnay after they pushed me in that OS buissiness and it actully made me backfire them and i was back in hardware side so, dont tell me i dont know about linux i seen more then enough in 3 weeks to tell what rubbish OS it is. need to know why so much hate if u by chance had Win installed and used MS visual studio going from there to linux free compiler is like moved from heaven to hell with no project build support no debug support nothing what so ever i can do in it where is the good in linux when i have to waste 30 seconds to copy some administerator locked fiel sudo sudo where i can do it in 2 secs on windows tell me one good reson a normal user will love linux not some Developer view just plain user and saying its open making me laugh when u can costomize the desktop well anyone cxan do it on windows but on both OS its bad for PC performance..
i hope the surface RT will cost lower than the iPad... if it wont.. it will be a fail..
google needs to do something really fast on their pc OS!! chrome OS isnt ready for primetime.. they need a primetime OS to compete with Windows and Macs... they need to work with android and make an OS for PC out of it! Sale MacBook pro get surface tab. Keep iPhone as work phone but windows8 as main phone. Buy a refurbish desktop from apple not Craigslist. That's priceless! I'd love the Asus 600 which is the windows equivalent of the prime. But only if it is equal price of $399. I really don't wanna pay $599 for the surface. i think desktop will not end anytime soon but yes, it'll disapear someday. Not soon - but in 10 years - it's gone. Which is sad, really. Metro offers 0 productivity and almost no multi-tasking. I'm just waiting for the RTM version.